Glenco is excited to announce new partnerships with some of the most high profile names in the power equipment market – Westinghouse and Puma. Glenco has partnered with Westinghouse to offer their portable power products commencing with a new range of portable generators offering start-of-the-art performance, reliability and safety. Following closely and equally as exciting is our renewed partnership with Puma and we are very pleased to be launching their all-new and exclusive range of high quality air compressors. 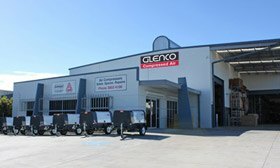 To better accommodate our continued growth and support our expanding dealer network, Glenco relocated to a purpose-built facility. 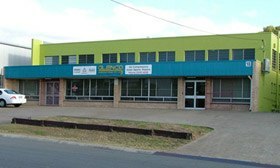 Head Office is now home to our administration, sales and technical support divisions as well as housing our customised workshop, R&D and distribution facilities. With better access to transport corridors, prompt delivery of products and spare parts is our promise. Building on the company’s historical growth that primarily focussed on the premium Airmac, Fusheng and FS-Curtis products, Glenco also concurrently expanded its own dynamic range of Senator brand compressed air products. These include reciprocating and rotary screw air compressor sets that offer unsurpassed affordability and value for money. Our four brands – Airmac, Fusheng, FS-Curtis and Senator – provide solutions for all compressed air applications. Glenco was appointed as the exclusive Australian distributor of Fusheng’s screw air compressors marketed under the FS-Curtis brand. This heralded the start of exponential growth in our product range which now includes stationary electric and portable diesel screw air compressor sets. Glenco entered the highly competitive compressed air storage and treatment market by introducing a range of Fusheng refrigerant dryers and vertical air receivers that have since become immensely popular in Australia. Market demand for better value compressor products forced most competitors to sacrifice quality to attain lower costs. 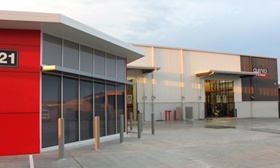 In stark contrast, Glenco selected the more difficult option to pursue higher quality across our product range while reducing costs by relocating our manufacturing operations abroad. Our outstanding performance was internationally recognized with the prestigious appointment as exclusive Australian distributor of Fusheng reciprocating air compressors. Fusheng is Asia’s largest air compressor manufacturer and is one of the world’s top 10. 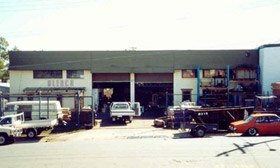 Glenco initially focussed on manufacturing premium quality reciprocating air compressor sets in Australia – an activity that remained at the heart of our business for 20 years. 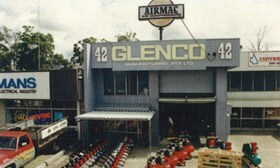 During this time, Glenco established an enviable reputation for manufacturing heavy duty reciprocating air compressor sets under the well-known brand names, Airmac and Binford.